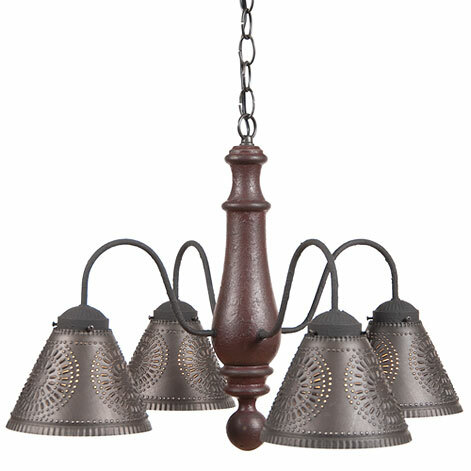 What size chandelier should I buy, is a common question asked by homeowners. There are 2 aspects to this question. First of all you need to know how much light you need in the room you are hanging the chandelier in. For more information on that subject click here. After you know how much light you will need your chandelier to put out you can narrow your search to chandeliers that are capable of producing the required amount of light. More often than not when someone asks, What Size Chandelier Should I Buy, it is the dimensions of the chandelier that are in question. In most homes the following rule of thumb applies. For rooms 10’ x 10’ and smaller use a 17”-20” diameter chandelier. For rooms 12’ x 12’ use a 20”–27” diameter chandelier. For rooms 14’ x 14’ use a 24”-36” diameter chandelier. This is only a rule of thumb, at starting point really. The chandelier above, (Irvin's Crestwood), and the chandelier at the left, (Katie's Wilcox) are both 23" diameter chandeliers. However the Crestwood has significant body to it, while the Wilcox does not. In most rooms the Crestwood with its large body will look larger than it really is and the Wilcox with its sleek wrought iron will appear smaller. Therefore you can often get away with a larger dimension chandelier than recommended if it has a simple slender design. The reverse would also be true, you can get away with a slightly smaller dimension chandelier if it is a full bodied model with a lot of mass. When hanging chandeliers in a 2 story foyer remember that the higher they are the smaller they may appear so you may want to purchase a slightly larger chandelier for this application. The reverse is true as well for low ceilings or rooms that are full you may consider using a slightly smaller than recommended diameter. Hanging chandeliers look best if they are suspended 10" or more below the ceiling. This is often done with a chandelier hook or chain. Make sure that any mounting hardware to which the hook or chain is attached has been properly anchored to support the weight of your new chandelier. When hanging a chandelier over a table it looks best if it is slightly narrower than the width of the table. Hang it a minimum of 30” from the surface of the table to the bottom of the chandelier. This will provide for the best illumination and keep it out of the way. For chandeliers that are being hung in an area where you need walking clearance a minimum of 6’6” is required from the bottom of the chandelier to the floor. Measure the height of your ceiling and subtract 6’6”, then take of an additional 4” for hardware, you now are left with the maximum height of your chandelier. 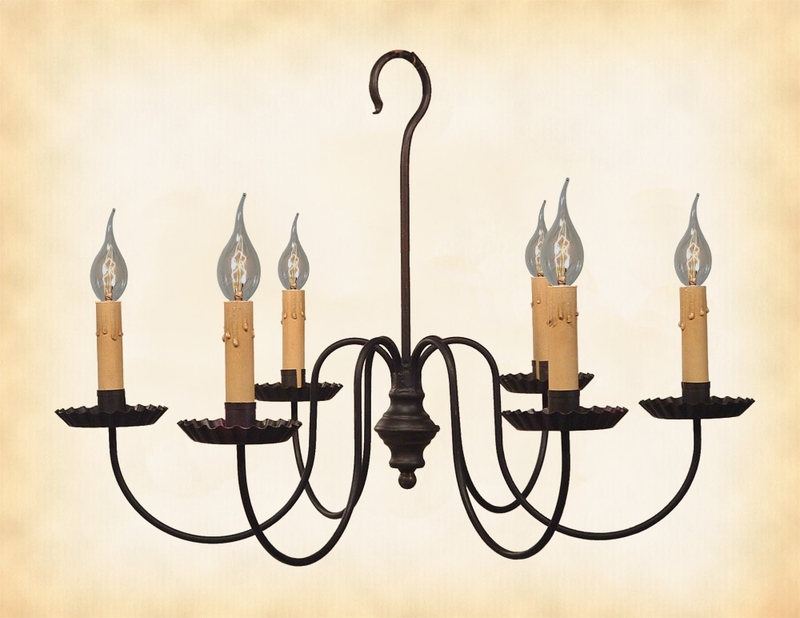 If you purchase a chandelier of smaller height you can hang it from chain or a hook assembly.